Miloš Stojković, Technology, Media and Telecommunications Senior Associate and Head of Digital, participated in the regional gathering of leaders in the area of finance and corporate law, the Winter Vivaldi CFO & Legal forum on Mokra Gora: Business without people. What are the financial and legal consequences? In addition to the current topics available to the forum participants, in the area of digitalization of financial and legal processes at companies, while participating in the panel “Legal framework without the frame. GDPR – What is it like and what will it be like in our country? AI and its implementation in law. Advertising, profiling and AI. 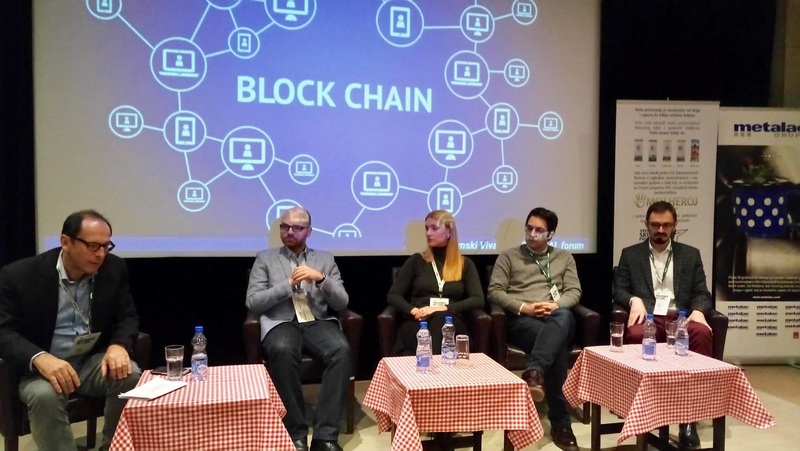 Blockchain and Smart Contracts”, Miloš Stojković presented his view of the regulations in the area of digital advertising, pointing out that this area is the only one in which people, regardless of the technological development, will continue to be necessary both as information sources and as recipients of advertising messages via targeted marketing, i.e. as consumers. Since in his work Miloš Stojković, Senior Associate at Živković Samardžić, is mostly in charge of the majority of what we today consider digital (telecommunications, IT, media, copyright, data protection, advertising, etc. ), he emphasized at the panel that the implementation of regulations from the area of advertising is not at a high level, and that the state would have to consider minimizing the normative requirements as much as possible, so that they are technologically neutral and realistic, leaving everything else to the self-regulatory and co regulatory mechanisms, and all so as not to smother business innovations which are based on the use of digital technologies. He also commented on other attempts to regulate relations in an online environment and alluding to the panel topic (“Legal framework without a frame”), he pointed out that, in the area of regulating the Internet, it is more like the “Legal framework without an idea“ is in force. Mokra Gora School of Management, the leading domestic institution for professional manager training, is organizing the Winter Vivaldi CFO & Legal forum which gathers approximately 100 professionals from the area of finance and corporate law every year. Miloš Stojković joined Živković Samardžić as a Technology, Media and Telecommunications associate in 2012, after a four-year stint with the Ministry of Telecommunications and Information Society, where he was a Legal Advisor and a Head of Regulatory Department in the Sector for Electronic Communications. Before the Ministry, Miloš was a project coordinator and researcher with the Belgrade Centre for Human Rights for three years. Recently, he was one of the members of an expert group set up by the Ministry of Trade, Tourism and Telecommunications to provide advice and expertise in relation to the preparation of the Serbian 2016 Advertising Law. If your business is affected by the changes of the advertisement rules, please check out our insight on the topic, contact Miloš Stojković (milos.stojkovic@zslaw.rs) or any of your regular contacts at Živković Samardžić.